Muruggan* is busy painting and repairing a broken chair on the ground floor of The Banyan Open Shelter For Men with Psychosocial Disabilities (co-run with the Corporation of Chennai) at Dooming Kuppam, when his duty nurse calls him out for lunch. With his hands soiled in white paint, he gets up and greets the nurse with a bright smile. The shelter dog Apu runs to him wagging his tail, he jumps with delight upon seeing his furry friend. “He is a big foodie and has always eaten whatever is served in our kitchen. 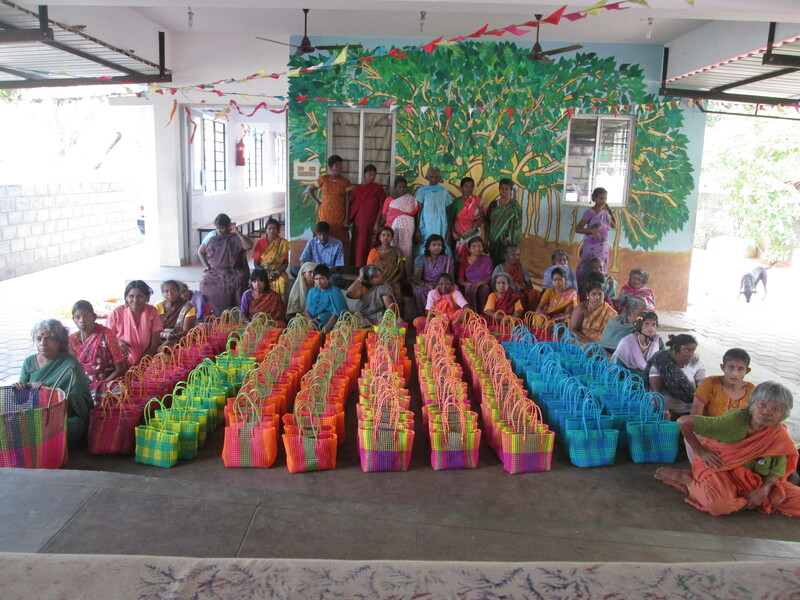 The prospect of food makes him happy”, says Keerthana, a case manager at the shelter. The man who has slightly matted, thinning grey hair and a short beard was found outside the Santhome Church six months ago, when team members from The Banyan located him and offered him a place in the Open Shelter. In the next two days, he was welcomed him into the shelter as a residential client. ‘Kind City Happy People’ is their street engagement program, through which they build rapport with homeless individuals on the streets, provide them with food and water, and attempt to get the person to come receive services from the shelter. Muruggan told them that he used to work in Velankadu and had a brother who lived near the crematorium there as well. However, The Banyan workers were unable to trace his address or family, even after repeated attempts. “Even though we found him wandering the streets , there was no sign of mental illness when we conducted our assessment. All he needed was a place to stay, where he was cared for’’ said Keerthana. An OP (outpatient) client, who works as a carpentry trainer at Banyan, has been teaching Muruggan the skills required for carpentry for the past two months. He has shown great interest in learning carpentry and loves to paint, shape or repair wooden commodities. The OP client who comes to Banyan everyday for a fixed number of hours, trains all residents who show a keen interest in carpentry or are talented at it. “Some residents, come once in awhile, Muruggan works with me every day either with repair work or painting, and has picked up the skills of carpentry very fast”, said the OP client. Whenever Muruggan is free he can be found playing with shelter dog, Apu. However, upon asking him who his best friend is at the shelter, he promptly replies “the duty nurse’’ without a blink. The nurse is closely associated with the residential clients at the shelter; she stays with them throughout the day, even through their daycare activities. Other activities conducted at the shelter as part of creative and conventional training include paper folding, bead making, basket decorating and designing which increases the dynamic engagement and brain function of the residents. Apart from day-care shelter residents, there are seven clients enrolled in their night shelter program in which they outside for their work during the day and come back to the shelter at night. ‘’For men who are old and destitute, a single meal puts a gleam of hope and gratitude in their eyes. 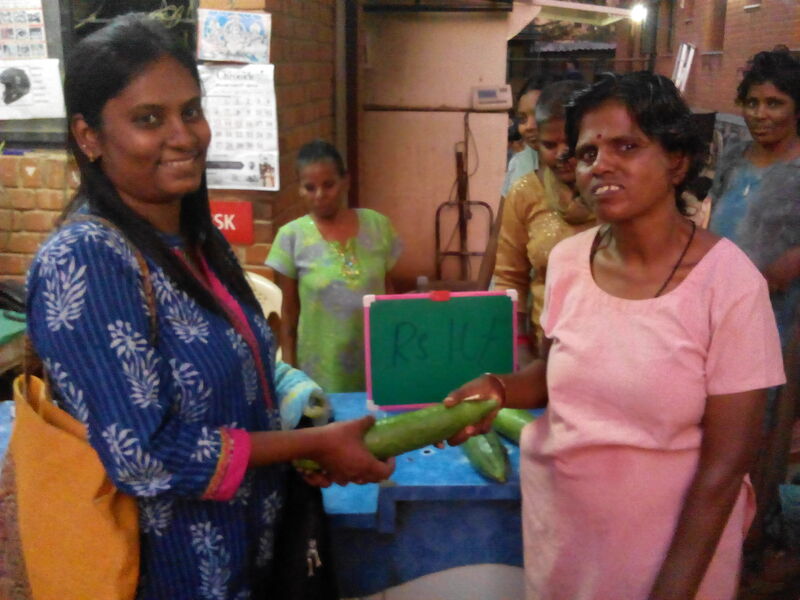 We ensure a good life for them by providing them with food, clothes, work and shelter, so that they feel safe and comfortable here’’, said Keerthana. 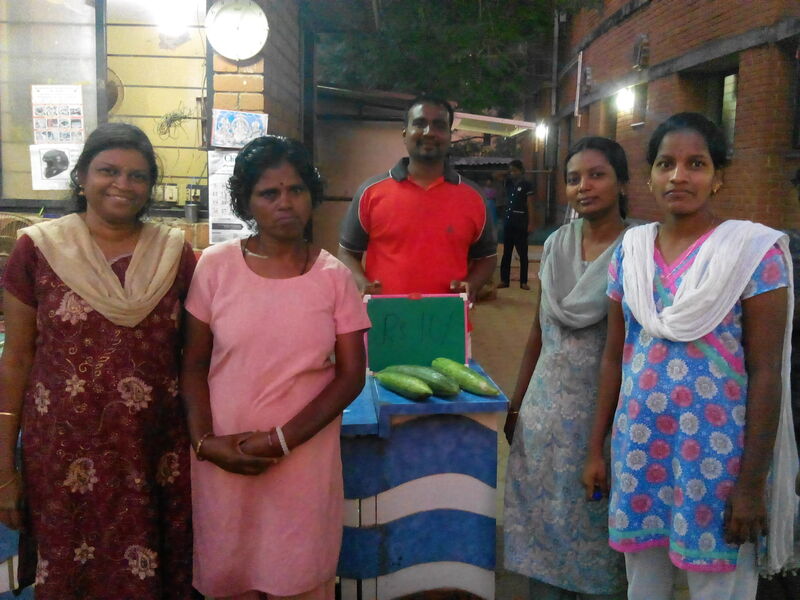 Many residents like Muruggan, have found a new life at The Banyan despite having gone through unimaginable struggles in their past, having lost faith in life, and becoming depressed. Here, their sustainability is assured as they know they are taken care of. Horticultural Pursuits Bear Veggies Before Pongal! Our clients celebrated Pongal this year with meaningful fervour as just a couple of weeks ago, it was indeed harvest time! The first harvest from the horticultural forays of our very own gardeners, bore us snake gourds! The ‘podalankais’ were much in demand and snatched off the shelves as soon as they were put on sale! Each snake gourd was sold for a princely sum of Rs.10! Author thebanyanteamPosted on January 23, 2014 January 20, 2014 Categories Adaikalam, The Banyan's Transit Care Centre, News From The Projects, Self-employment Opportunities, Urban Mental Health Programme, Vocational TrainingLeave a comment on Horticultural Pursuits Bear Veggies Before Pongal! Dr. P.S. 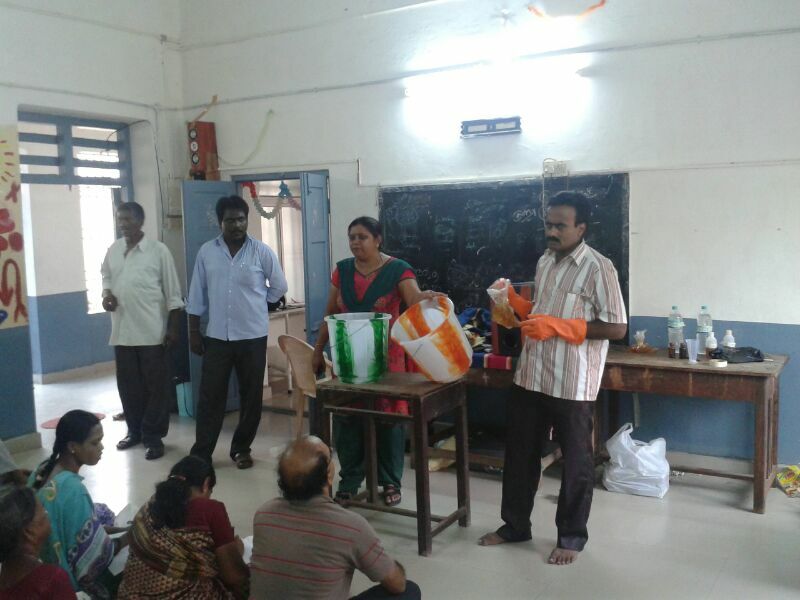 Senthil Kumar, Occupational Therapist at The Banyan, facilitated a workshop by Mr. Balaji on phenyl making at the Shelter for the Homeless in Doomingkuppam, Santhome, Chennai, for the clients of the Shelter and of The Banyan’s Day Care Centre. 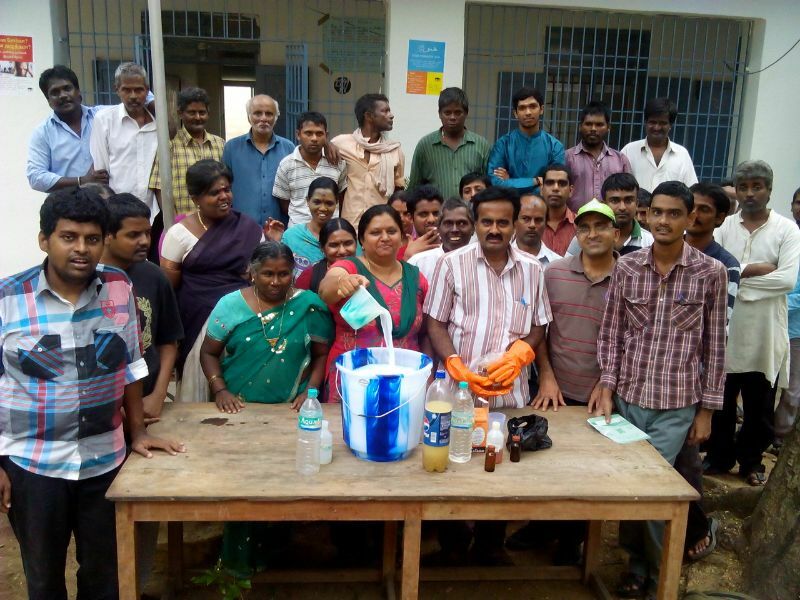 Initially, Mr. Balaji demonstrated the process of making phenyl to all our clients. Then, he asked the clients to individually demonstrate what they had learnt. Many of the clients were able to recollect the entire process. 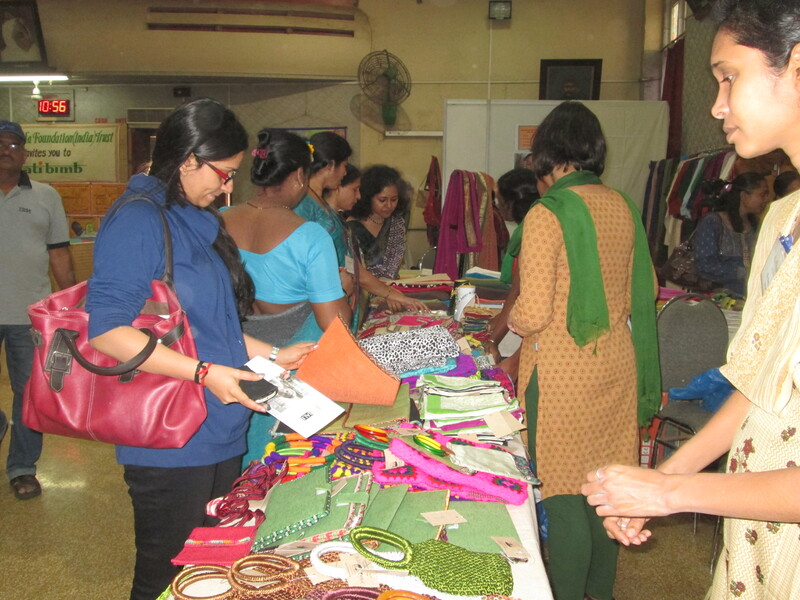 All the clients expressed delight that they had a learnt a new skill and thoroughly enjoyed the workshop. Dr. Senthil plans to make this a routine activity at The Banyan and hopes to produce enough phenyl to meet the daily phenyl needs at the different projects. 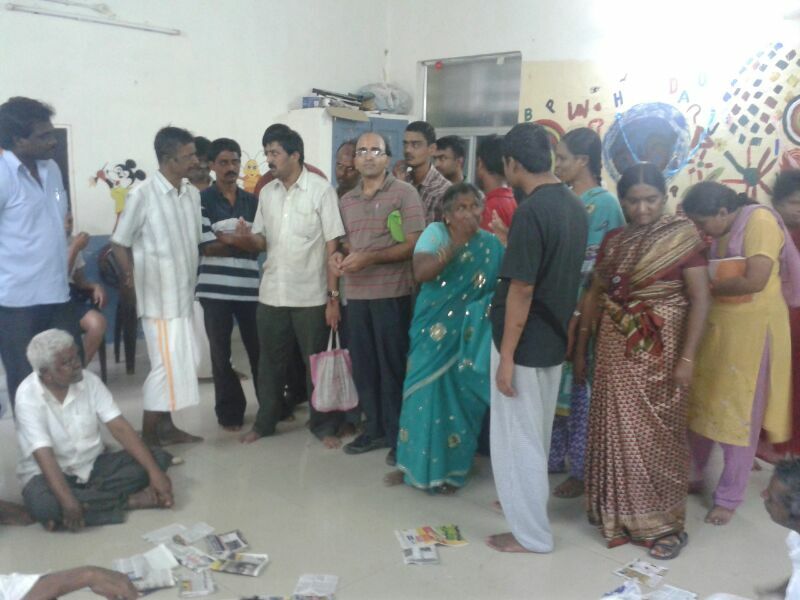 Following the workshop, Mr. Hari, our coordinator at the Shelter for the Homeless, organised lunch for all the clients. Once lunch was done, all the clients were taken to the beach to relax before heading back. Without the coordinating efforts of Dr. Senthil, Mr. Balaji, Mr. Hari, and Ms. Punitha, the Day Care Centre’s coordinator, this event would not have been as successful as it was.